Superstar Mahesh- AR Murugadoss’s forthcoming flick, Spyder’s first glimpse was released earlier today. Brilliant concept and some top-notch BGM showcased in the teaser has caught the moviegoers attention and doubled the expectations on the film. 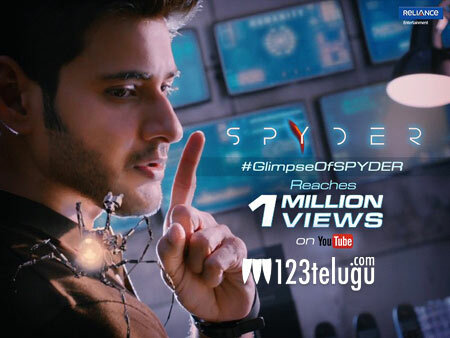 The teaser on his its official Youtube channel clocked more than 1.5 million views in just 5 hours which is a rare feat achieved for any Telugu film. Touted as an intelligent spy-thriller, the film has Rakul Preet as the female lead. Harris Jairaj has composed the film’s music and is scheduled for Dussehra 2017 release.